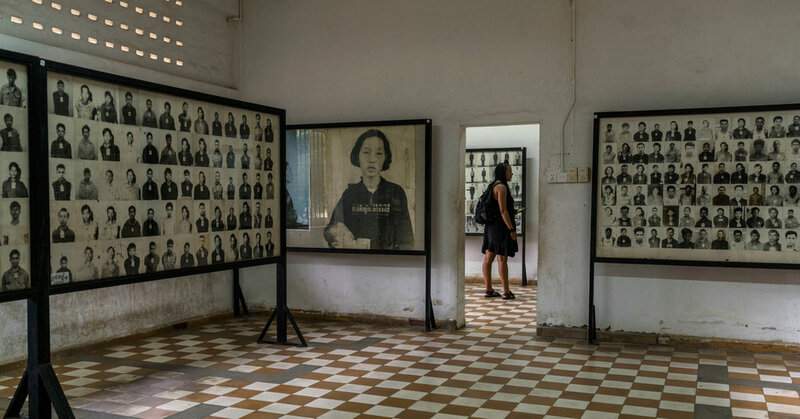 After too many years, an international tribunal has declared the Khmer Rouge attrocities a genocide. The communist revolutionaries sought to eradicate all western, capitalist, and religious influences. To do this, they killed educators, the educated, anyone who showed appreciation for western culture, anyone who resisted or criticized their regime. At least 1.7 million people were killed, many more tortured. Like so many revolutions, their political theories were used to conceal a brutal campaign of ethnic cleansing.